Readers around the world already love how Sarah's words help them connect with Jesus. Now the new Jesus Calling® topical devotionals offer a way to focus even more deeply on the major felt needs in your life ... and the lives of your friends, family, church, school, and friends. 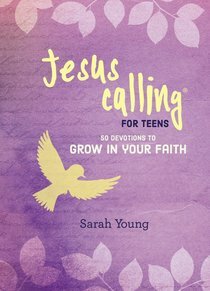 About "Jesus Calling For Teens: 50 Devotions to Grow in Your Faith"